A spark plug is a petrol engine part located within the cylinder that delivers an electric current. They are an essential part of the petrol engine – without them it wouldn’t run. Spark plugs in diesel engines are called glow plugs and work differently. Each engine cylinder has its own spark plug, so a four-cylinder engine would have four spark plugs, and so on. A spark plug has two main functions. One is to ignite combustion to start the engine, the second is to transfer heat away from the combustion chamber. The spark plugs fire when the engine is started and when you accelerate and change gears. This is perfectly timed to when the piston that draws the mixture of fuel and air within the cylinder is at its full reach, or Top Dead Centre (TDC). The plug emits a bolt of electricity that is forced across a gap at a very high voltage to provide the right level of combustion of the combined fuel and air at the exact moment it is needed. All of this happens in approximately 3-20 milliseconds. The spark plug also transfers the heat needed for combustion away from the tip of the plug to the car’s cooling system via the spark plug case. There are two varieties of spark plug: hot plugs and cold plugs. A hot plug can be found in most engines and has more insulation than a cold one. The plugs are kept at a higher temperature by the added insulation so that any carbon deposits can be burnt off and they last longer. Cold spark plugs have less insulation in order to keep them hotter, so the heat can be transferred to the outside of the engine from the combustion chamber. These are more commonly found in engines with high compression and high horse power. Thermal performance is how manufacturers refer to the spark plug’s ability to dissipate heat and maintain an ideal temperature, low enough to prevent pre-ignition but also high enough to prevent carbon fouling. How do I know if my spark plugs don’t work? They could be making a rattling, knocking, or pinging sound – If a spark plug misfires, the pistons may make an unusual noise when combustion doesn’t take place. Car not starting – If your spark plugs are not working, your car might not start properly and may feel jerky or surge forward when you try to start it. Poor fuel economy – This could be caused by many things. One reason might be that your spark plugs are not working to their full capacity and fuel is being wasted as it’s not receiving the correct heat for combustion at the right time. If your car doesn’t accelerate properly, that may be a sign that you need to change your spark plugs and your engine might not respond when you put your foot on the pedal. As the spark plug ages, the gap between the electrodes can widen, increasing the distance that the spark has to travel, meaning that it can’t always make the connection. Carbon deposits build up on the plug and can cause problems with it working, however this can be rectified by simply cleaning the spark plug. Providing that it is not damaged in the cleaning process, the spark plug should be back to working order. 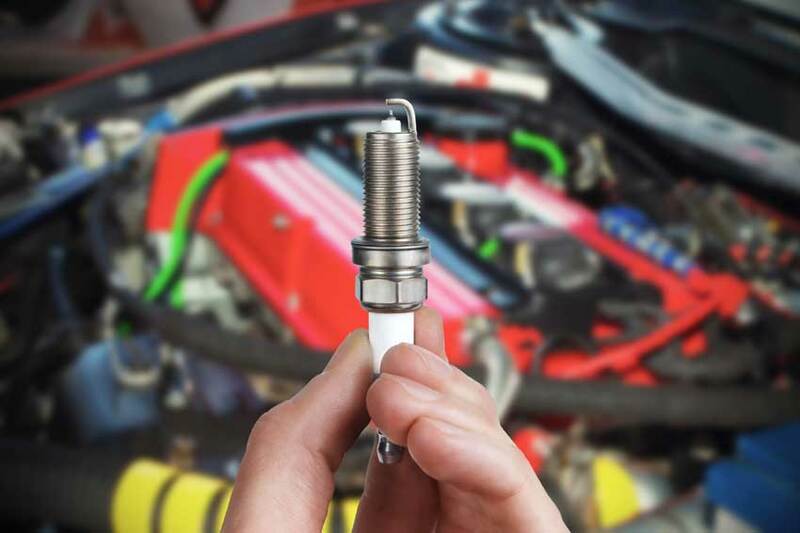 Spark plugs usually need to be changed every 30,000 miles – your owner’s manual will be able to confirm what the manufacturer recommends for your model.